It was about time! We know that you have been waiting for this re-issue for ages. It has finally happened and we can officially announce it. 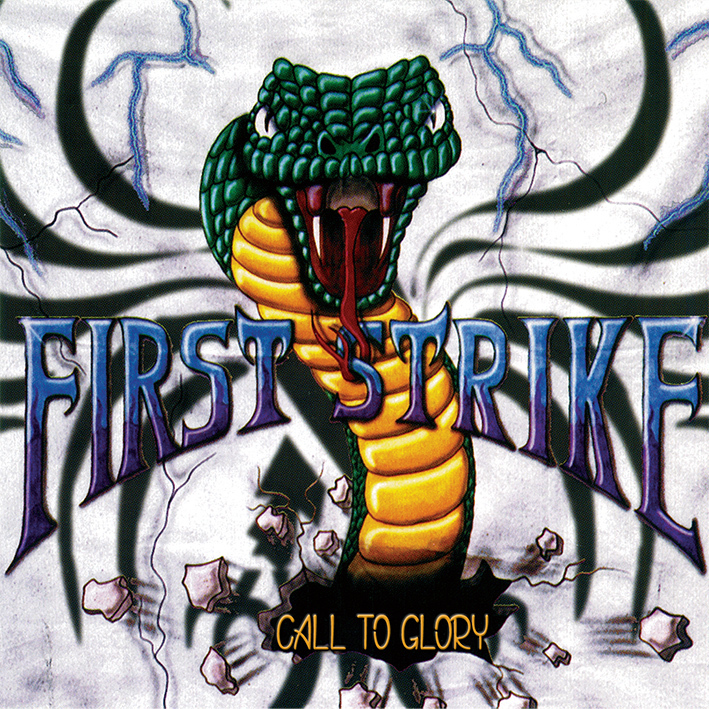 Arkeyn Steel Records presents the re-release of the one and only, same titled album of FIRST STRIKE from Albuquerque, New Mexico. Yes, you have read it correctly, one of the most demanded US Heavy / Power Metal private CDs of the 90s, is being reissued, completely remastered featuring six never before heard bonus tracks that were to appear on the band’s never released second album. The band delivered an excellent mixture of Melodic Heavy and Power Metal with some Progressive touches, following the early QUEENSRYCHE vibe. The double guitars and the amazing vocals were the band’s absolute trademarks, crafting their unique and individual sound. Their debut “First Strike” album was released back in 1995. 1000 CDs and 500 tapes were made. All copies were gone very quickly, so the album found an important place on the want lists of collectors, around the world. The band gave various shows to promote their debut and they had started working on a second album that was never finished due to their split. Six originals that were supposed to be included in their second release, were recorded live straight from the soundboard, on a show at Gee Willigan’s in Albuquerque, New Mexico, USA in 1995. We present for the very first time this first class material as bonus tracks on the debut’s re-issue, giving you the chance to discover for yourself the high levels that this amazing band would have reached if they hadn’t split. Everything is remastered from scratch and presented in the best possible sound quality. Never before seen photos, complete bio and lyrics are included, on a release that does real justice to the FIRST STRIKE legacy. The CD will be out on 500 hand numbered copies. If you worship early QUEENSRYCHE, CRIMSON GLORY, RIOT and HEIR APPARENT, this one is for you.